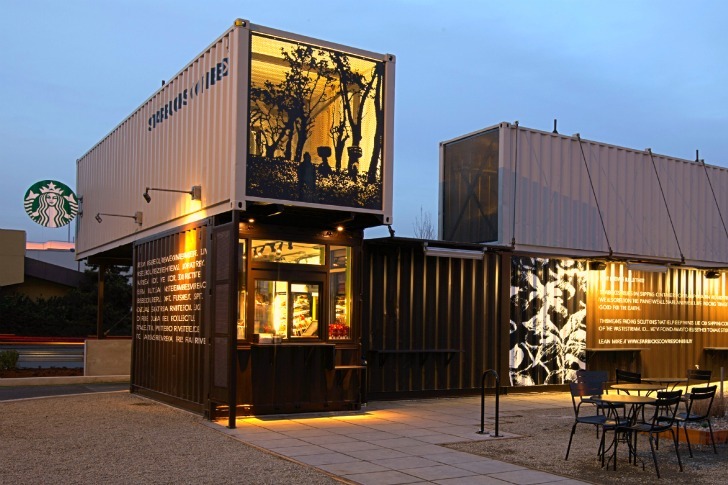 If you happen to be passing through Tukwila, Washington, make a pit stop at <a href="http://www.starbucks.com">Starbucks'</a> brand new reclaimed shipping container coffee shop. 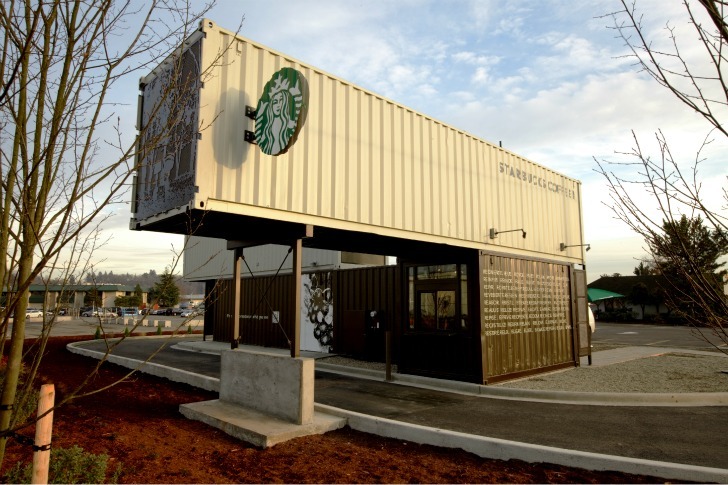 The first in what could possibly be a new branding strategy, the Reclamation Drive-Thru is built out of four shipping containers and has been designed to LEED green building standards. 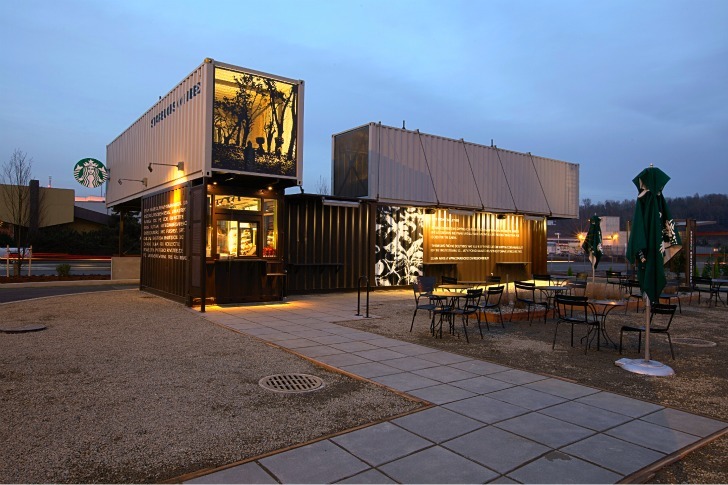 Designed in-house by resident Starbucks architects, the container coffee shop is part of a growing initiative at Starbucks to encourage green building to reduce energy use and operational costs as well as to push the envelope on environmental design in retail. 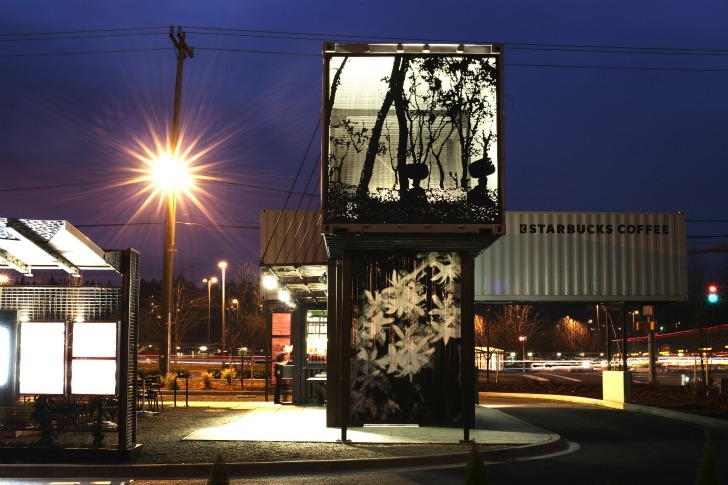 As with all things from the <a href="https://inhabitat.com/nyc/interview-arthur-rubinfeld-ben-packard-of-starbucks-discuss-building-all-new-starbucks-to-leed-standards/">global coffee dispensary</a>, the container drive-thru is Starbucksified and emanates the same trendy design aesthetic you'd expect from their other coffee shops. 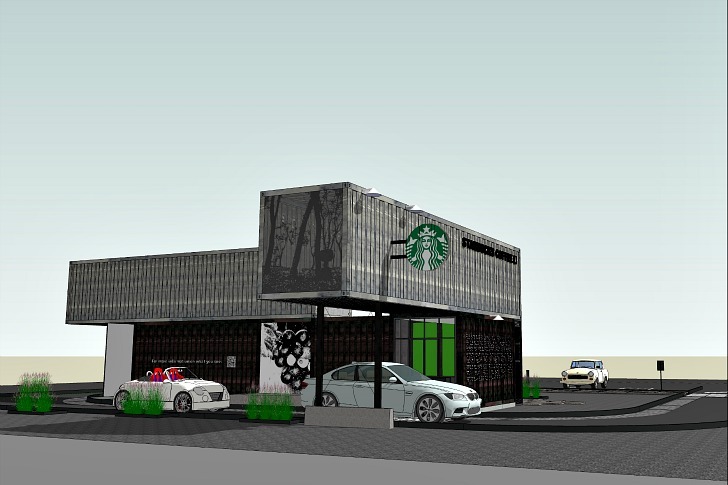 We checked in with Starbucks and got them to spill the beans about their latest creation. 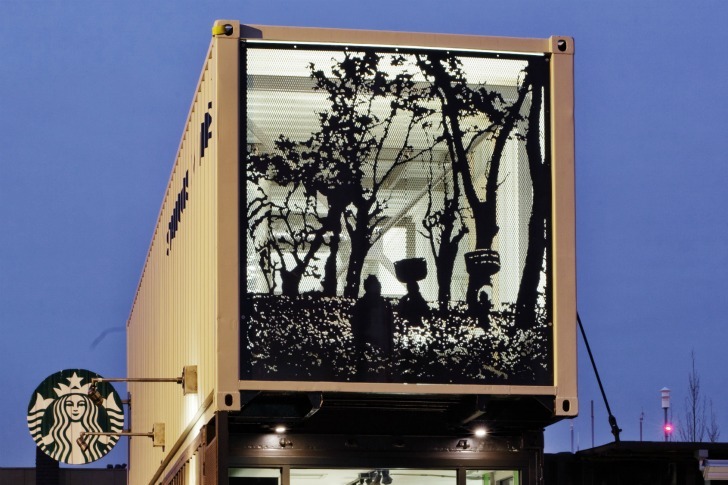 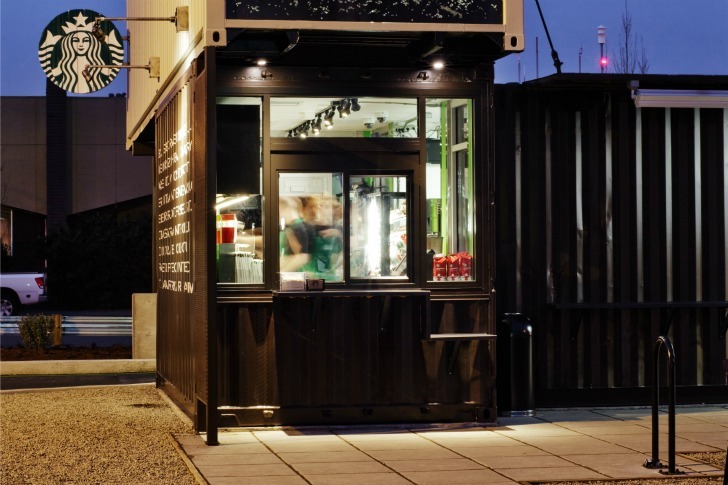 Inspiration for the <a href="https://inhabitat.com/tag/cargotecture">shipping container</a> drive thru came from the company's use of the containers to ship their coffee and tea from sources around the world. 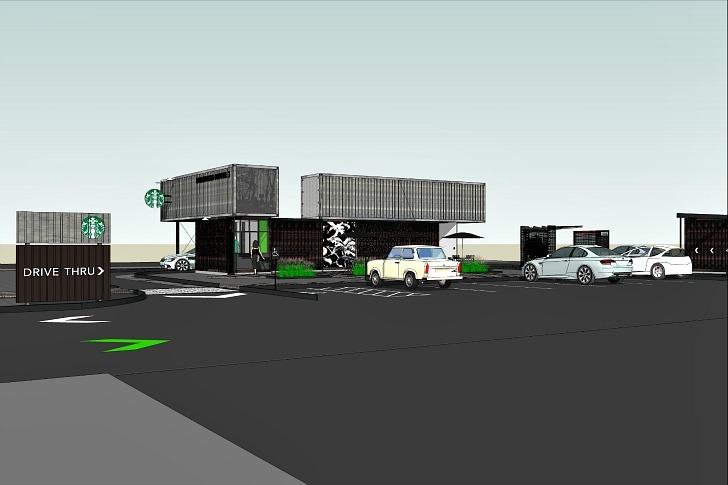 Although it's not certified yet, the company hopes to achieve their <a href="http://www.usgbc.org/">LEED</a> certificate soon, which will make the shop the first LEED building in Tukwila. 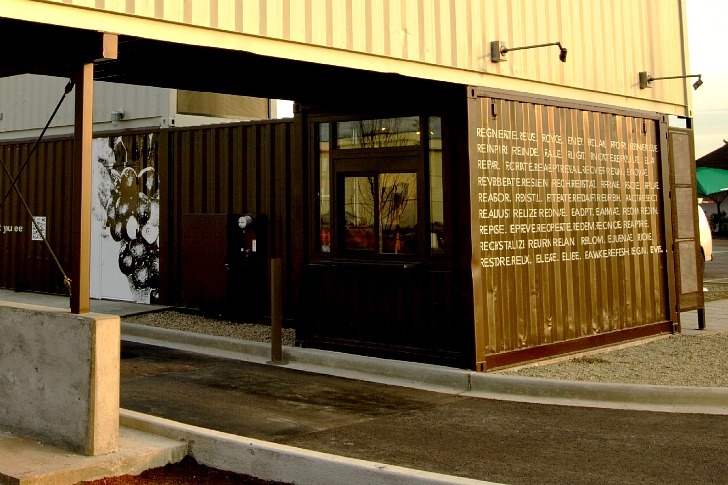 They've reduced signage by using the actually building as the sign and also integrated rainwater harvesting and <a href="http://en.wikipedia.org/wiki/Xeriscaping" target="_blank">xeriscaping</a> to minimize water consumption. 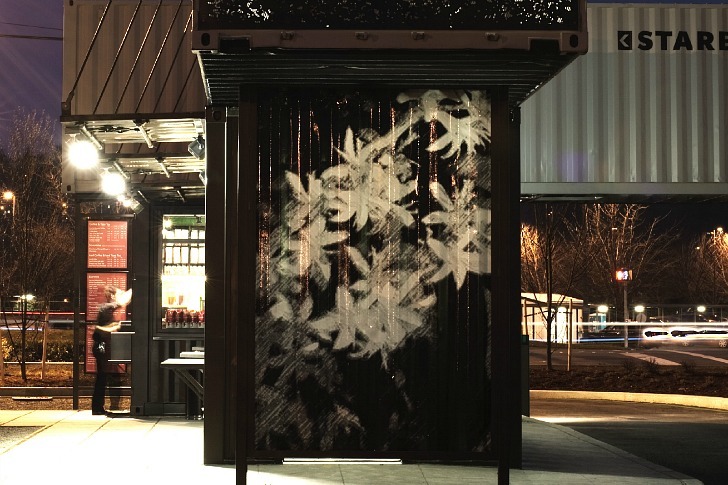 The new coffee shop opened on December 13th and is plying Washingtonians with their <a href="http://www.starbucks.com/coffee/whole-bean-coffee/multi-region-blends/starbucks-christmas-blend" target="_blank">Christmas Blend</a> as we speak.